Crazy Shenanigans: It's a Luau! One of the things I was looking forward to most while being in Hawaii was going to a luau. I've been watching Gidget Goes Hawaiian since I was a kid and in the movie she experiences a luau. Since I first saw that as a kid, I've always wanted to do a luau. 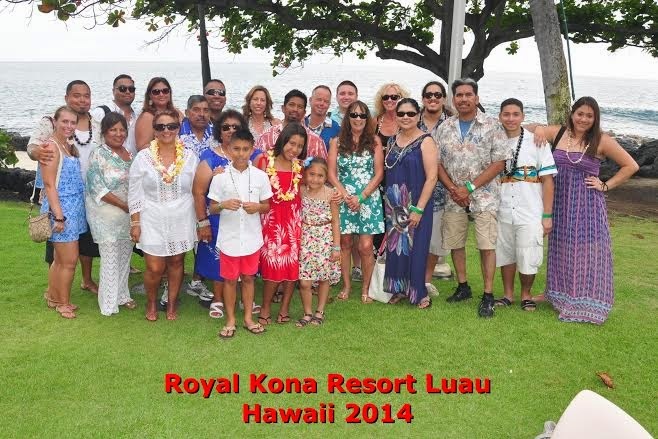 In Hawaii there are hundreds of luaus to choose from and we ended up going with The Royal Kona Luau: Lava Legends and Legacies- Journeys of the South Pacific. It all started out with the retrieval of the pig. The resort had buried it in the sand earlier in the day and began to unearth it in front of the crowd. What they do is clean the pig, stuff it was hot coals, wrap it in banana leaves and bury it to cook itself inside of a natural oven. Hours go by and then the pig can be removed from the ground and cleaned off to eat. It's cut up and stripped into pieces. Going to get the pig all cleaned up! Once dinner was served and everyone had finished their feast the show began. We were entertained by Hula Dancing, fire twirling and songs that share the Hawaiian Legacy. I personally loved seeing all of their beautiful outfits. When they brought out the fire twirling they put up a netting for safety. The other thing that I really loved about this luau was the fact that it was right on the water. When the sun began to set in paradise we had a great view of it. Isn't that pink sky amazing? That's how you have a good luau! If you ever go to the Big Island this is your luau. We loved it! The show was great, the location is wonderful and the food was mouth watering. Wow, awesome photos! I guess preferred seating definitely has its perks!